Benchmark share indices ended lower for the fifth straight day, amid volatile trading session, with the Nifty closing below the crucial support level of 8,050 on concerns that slowdown in global growth could reduce the pace of foreign inflows into emerging markets. 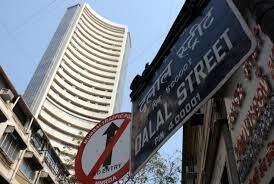 The 30-share Sensex ended down 71 points at 26,710 and the 50-share Nifty lost 38 points to close at 8,030. During the early trades, the 30-share Sensex was down 230 points at 26,550 and the 50-share Nifty was down 79 points at 7,988, below the 8,000 mark for the first time since October, 28. Meanwhile, foreign funds were net sellers to the tune of Rs 3,328 crore in the past six trading sessions. Brent futures fell more than 1% on Wednesday, down for a sixth straight session, with persistent worries of a supply glut keeping prices near a 5-1/2 year low under $60 a barrel. Russia failed to halt the collapse of the rouble leaving President Vladimir Putin facing a full-blown currency crisis that could weaken his iron grip on power. A 6.5% point interest rate rise to 17% overnight failed to prevent the currency hitting record lows in a 'perfect storm' of low oil prices, looming recession and Western sanctions over the Ukraine crisis. The weakness in the rupee is seen continuing into 2015, amid concern on slowing of foreign inflow and is currently trading at 63.60 against the US dollar. However, on the brighter side, according to analysts in a Reuters poll, Indian shares will continue this year's big rally in 2015, propelled by the passage of key fiscal reforms, who see another year of 20% plus gains. On the sectoral front, BSE Healthcare index was the top loser down 2% followed by FMCG, Auto and Realty indices trading lower by 1.5% each. However, BSE Metal and Oil & Gas indices gained nearly 1% each and Bankex climbed nearly 0.2%. Mortgage lender HDFC ended flat..
HDFC Property Fund, set up by Housing Development Finance Corp Ltd, India's biggest mortgage lender, plans to raise a $500 million fund to invest in residential real estate projects, said people directly involved in the process. In the banking pack, SBI, Axis Bank and ICICI Bank were up between 0.5-2% each. Banking shares mainly PSU rallied by up to 6%, bouncing back more than 10% from intra-day’s low on the bourses. Federal Bank, Indian Bank, Union Bank of India, Bank of India and Syndicate Bank from PSU banks ended higher up to 4% on the NSE. Oil shares recovered on the back of short covering at lower after the sharp decline tracking weak global cues. ONGC was up 2% and Reliance Industries ended up 0.7% while GAIL gained 1%. Metal shares which had lost ground on the back of weak China manufacturing firmed up in noon trades. Sesa Sterlite ended up 3.5% and Hindalco gained nearly 1.5%. Tata Steel climbed 1% The Odisha state government has issued orders to restart operations of four captive iron ore mines of Tata Steel following an interim order of the Odisha High Court (HC). Pharma shares were among the losers on fears that a crash of the Russian currency would hurt their exports. A weaker currency raises the cost of imports hurting further demand. Sun Pharma and Cipla were down between 2-3%. However, Dr Reddy's Labs rebounded from day's lows. A pharma analyst at Angel Broking belives that it’s unlikely to have much impact on the profitability of the company, as the company derives only 15% of its sales (in FY2014) from the Russia and other markets in the region. The stock was up 0.5%. ITC lost 2.3% along while Tata Motors slipped 1.3% on the back of weak JLR sales. Among other shares, SpiceJet slipped over 5% on the Bombay Stock Exchange (BSE) to Rs 13.15 levels in intra-day trade after the airline failed to operate any flight on Wednesday after being refused ATF (aviation turbine fuel) by public sector oil companies. The stock, however, recovered partially around noon to Rs 13.5 levels. Shares in Cairn India were continue at their southward march, hitting five-year low on the bourses as crude oil fell below $59 a barrel for the first time since May 2009 on Tuesday. The stock ended nearly 3% lower at Rs 229 on the NSE. Asian Markets: Japanese stocks rose on Wednesday, moving away from a 6-1/2-week low as hopes of a continuation of the US Federal Reserve's dovish stance helped sentiment recover, while Japan Tobacco Inc tumbled.Hong Kong's main share index finished down slightly on Wednesday as a rally in financial firms failed to offset slumping service and information technology shares. However, China stocks closed up on Wednesday as mainland bank shares pushed higher in the afternoon session. In the broader market, the BSE Mid-cap index ended down 0.6% and Small-cap index fell 1%. Market breadth ended weak with 1,778 losers and 1,036 gainers on the BSE.